Tye Angland has ridden Bull Market to a close win over stablemate Poetic Charmer at Rosehill. It was the best kind of photo-finish for Peter and Paul Snowden as their stable runners took out first and second at Rosehill ahead of the favourite. Three-year-old colt Bull Market ($13) crossed the line a head in front of Poetic Charmer ($4.20), another three-year-old, in Saturday’s HQ of Insurance Handicap (1400m). Filly Star Sensation ($4 fav) was a neck behind to finish third behind the Peter and Paul Snowden trained pair. Peter Snowden said the good track and lowered weights helped Bull Market’s cause. “It’s a shame one had to beat the other but it’s the best result the stable could have,” Snowden said. Snowden said he was proud of both horses, with second placed Poetic Charmer having won his maiden over 1400m at Newcastle on November 4. 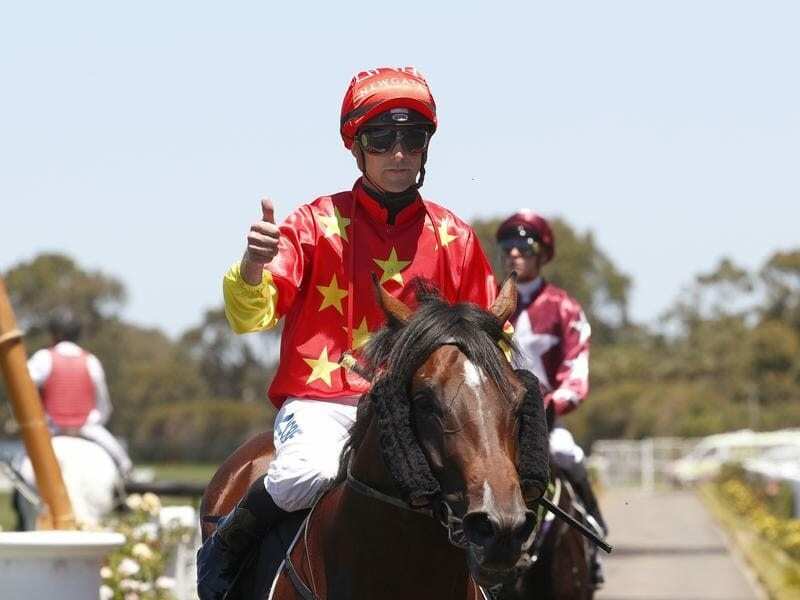 Jockey Tye Angland said he exposed Bull Market before the turn as he did not quicken before the corner as he had hoped. “To his credit he fought deep and it was a solid, hard battle for the two horses,” he said.